CBA Slovakia operates more than 300 proximity stores in rural areas of the country. The Polish investment fund Enterprise Investors (EI) has acquired the Slovakian operations of Hungarian retail cooperative CBA. As Romanian retail news portal Magazinulprogresiv reports, the transaction is estimated at between EUR20mn and EUR50mn and concerns the acquisition of 100% of the share capital, while simultaneously covering the retailer’s debts. CBA Slovakia operates more than 300 stores under the CBA Potraviny (Food), CBA Cent and CBA Diskont banners in rural areas of the country and is part of the international CBA cooperative network. Its brand-lending parent company has a leading position in Hungarian retail. Owing to increased market consolidation in Central and Eastern Europe, cooperations under the CBA banner have disappeared from several countries over the past few years. Although still strong in its Hungarian home market, the international business of CBA has been losing ground over the past ten years. Cooperations in the Baltics, in Poland; as well as in Croatia, Serbia and Montenegro have been abandoned, put on ice, or rebranded to local banners. Market consolidation continues, with the top three retailers in Slovakia – Schwarz Group, Coop Jednota Slovensko and Tesco – expected to increase their combined market share from its current 59% to more than 66% over the next five years. This will mainly come at the expense of independent retailers and local retail chains – CBA’s traditional clientele. With CBA Slovakia accounting for just 2% of national grocery retail, according to LZ Retailytics data, it seems it was only a matter of time before the increasing market pressure would be reflected in the bottom line. Bringing in an investment fund with ample liquidity, that has also been very successful in developing other local heroes in the region, for example Profi in Romania and Żabka in Poland, changes the picture completely. We assume that CBA will keep its logo and will also stay in the buying cooperation with CBA international, which will be a major advantage. In terms of private labels, CBA Slovakia is the most advanced operation under the brand outside of Hungary, with its range of own brand SKUs totalling some several hundred items. With Polish Enterprise Investors (EI) at the steer, we expect the retailer not only to streamline its processes and improve its cost structure, but also to position itself more clearly as a domestic operator that will extend its proximity proposition in less developed areas. We also believe that the Romanian ‘Profi Loco’ rural format concept in EI’s portfolio is ready for fast adaption and subsequent roll-out. Furthermore, the modular store concept introduced at Profi might be a feasible low-cost option for quick expansion. CBA Slovakia is nowhere close to the top retailers, representing only one-tenth of domestic rival Coop Slovakia's revenue; the retailer will therefore be challenged to create a visible and convincing market presence against the local hero. 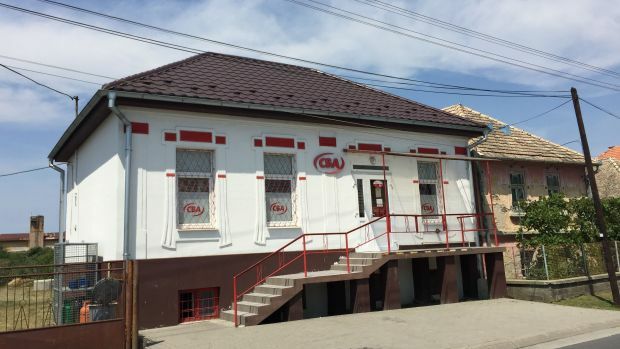 However, the new owners have already demonstrated that they were able to capitalise on the concept of proximity formats in so far unchartered rural areas with Profi Romania. According to LZ Retailytics data, EI boosted Profi's market share from 3.9% in 2014 to 6.2% in 2016. This in a similar market setting, where the top 3 retailers – Schwarz Group, Carrefour and Metro Group – account for around 47% of the grocery market. If it is possible to repeat the success stories from other countries, we might see CBA Slovakia climbing the ranks into the top 5 within the next five years. Gain access to more insights and data about the Slovakian retail landscape and more than 1,000 other banners in the 40 countries of Europe by subscribing to our retail intelligence platform. Sign up for a free trial here.